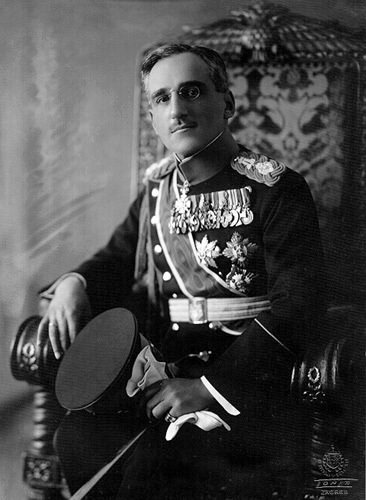 Archduke Franz Ferdinand is murdered in the city of Sarajevo, Bosnia by Gavrilo Princip. 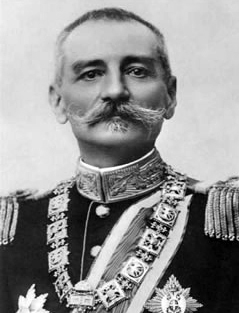 Using the assassination as a pretext, the Austro-Hungarian Government declares war on Serbia, its tiny southern neighbor, five days later. Russia begins to mobilize its troops in defense of Serbia. Allied to Austria, Germany declares war on Russia. Two days later, Germany declares war on France. 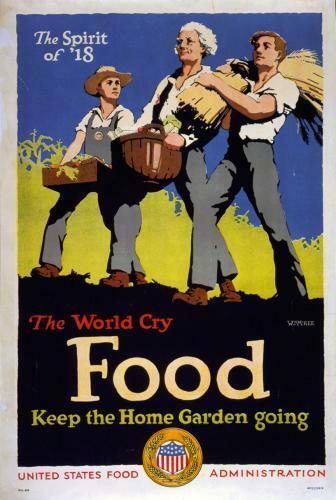 Bound by mutual defense treaties, England declares war on Germany as German troops invade Belgium on the way to France. The Battle of Liege begins. The picture below contains key information, casualty numbers, and the significance of the battle. The United States formally declares its neutrality and offers to mediate the growing conflict. 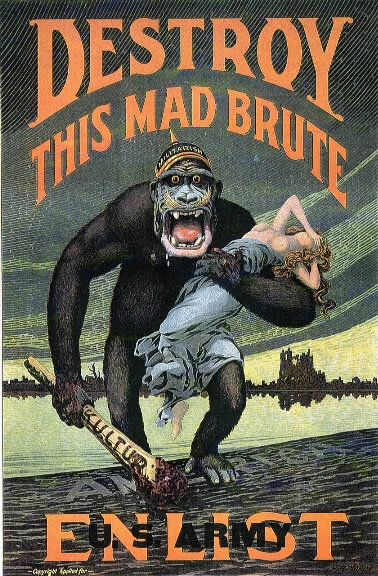 In America, opinions are divided two ways: pro-Allies press for aid for England, France, and Belgium, who are depicted as victims of barbarous German aggression and atrocities; neutralists and pro-Germans (mostly German-Americans) both want the U.S. to avoid taking sides. 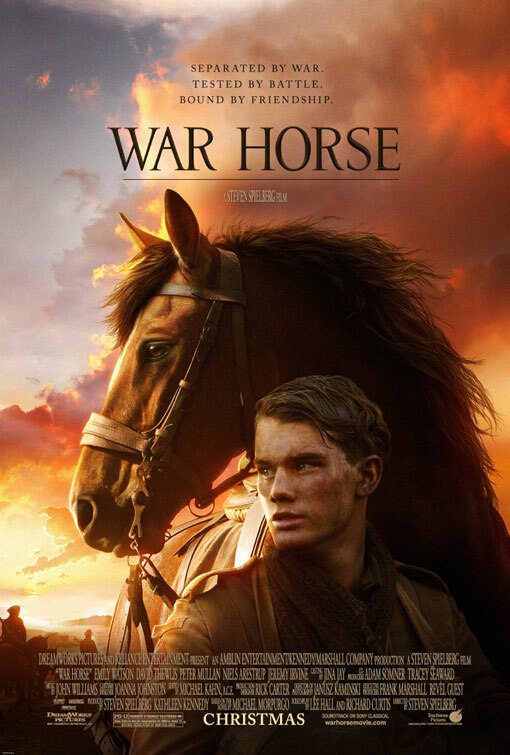 Pro-Allies form the Lafayette Escadrille to join the French Air Force, while other Americans join the English Army and the French Foreign Legion or, like Ernest Hemingway, become ambulance drivers. 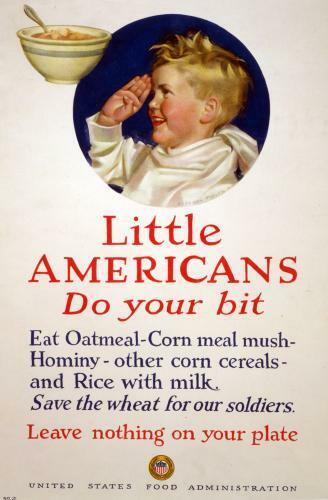 Irish-Americans denounce any assistance to England. 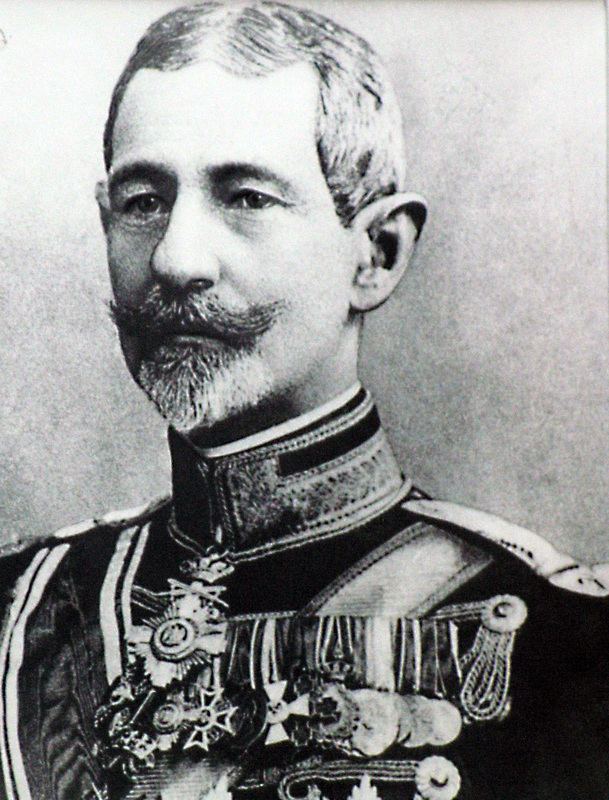 Germany's ally, Austria-Hungary, declares war on Russia. The Battle of the Frontiers begins. The picture below contains key information, casualty numbers, and the significance of the battle. 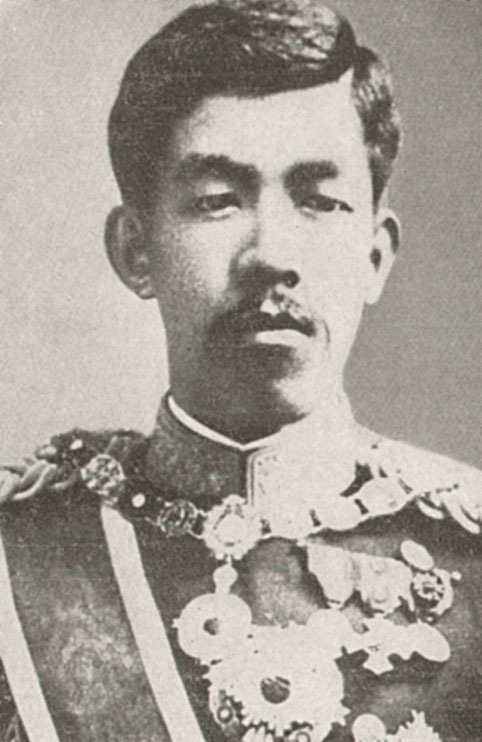 Hoping to snag some of Germany's colonies in the Pacific, Japan declares war on Germany. The Battle of Tannenberg begins. The picture below contains key information, casualty numbers, and the significance of the battle. The Battle of Heligoland Bight begins. The picture below contains key information, casualty numbers, and the significance of the battle. The First Battle of the Marne begins. The picture below contains key information, casualty numbers, and the significance of the battle. The First Battle of Masurian Lakes begins. The picture below contains key information, casualty numbers, and the significance of the battle. The First Battle of Ypres begins. The picture below contains key information, casualty numbers, and the significance of the battle. An unofficial "truce" (later called the Christmas Truce) takes place along the Western Front when a temporary cease-fire allows troops from both sides the chance to celebrate Christmas. The William P. Frye, an American merchant ship carrying wheat to England, is torpedoed by a U-boat, the first such attack against American commercial shipping. Germany declares the waters around the British Isles to be a war zone, threatening all shipping that approaches England. The Battle of Neuve Chapelle begins. 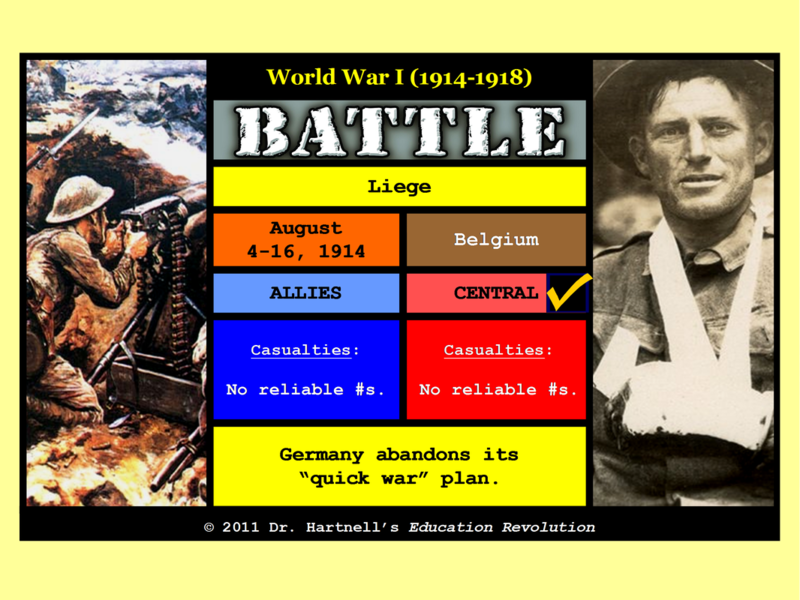 The picture below contains key information, casualty numbers, and the significance of the battle. The Gallipoli Campaign begins. The picture below contains key information, casualty numbers, and the significance of the invasion. The Second Battle of Ypres begins. The picture below contains key information, casualty numbers, and the significance of the battle. The American tanker Gulflight is sunk by a German U-boat. 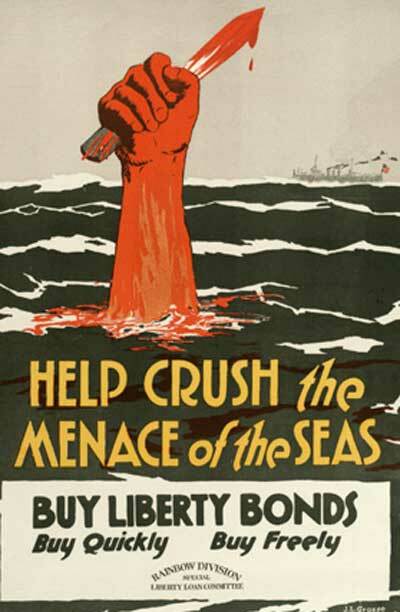 Germanyapologizes, but the ocean war escalates as the British call for a blockade of all German ports, despite President Woodrow Wilson's protest. The British liner Lusitania is sunk by a U-boat. Germany claims – reliably, it turns out – that the liner was secretly carrying weapons to the Allies. Of the 1,959 passengers, 1,198 died; 128 of them are Americans who had disregarded the warnings published by Germany in American newspapers to avoid passage on vessels carrying wartime cargoes. A diplomatic crisis follows, as Germany refuses to pay reparations or apologize for the attack. American public opinion tilts toward supporting the Allies. 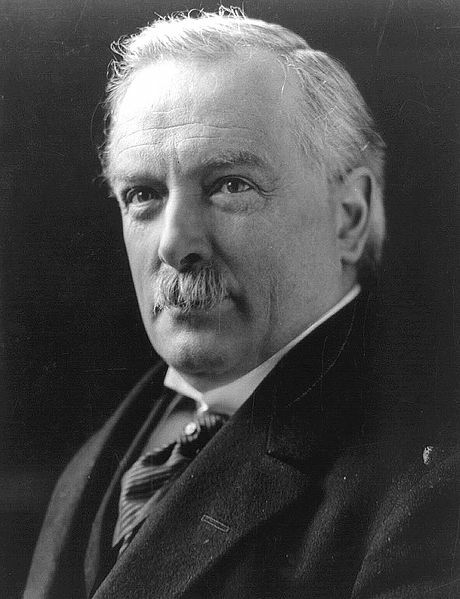 A German professor at Cornell University explodes a bomb in the U.S. Senate and shoots J.P. Morgan the next day. The captured professor commits suicide. A few days later, the head of German propaganda in the U.S. leaves a suitcase on a New York subway train. Inside is information about the existence of a German spy ring. It is found by the Secret Service and released to the press, further arousing anti-German sentiment. The American merchant ship Leelanaw, carrying flax, is sunk off the coast of Scotland by a U-boat. The Italian liner Ancona is sunk by an Austrian U-boat; 27 Americans die. President Wilson requests a standing army of 142,000 and reserves of 400,000. 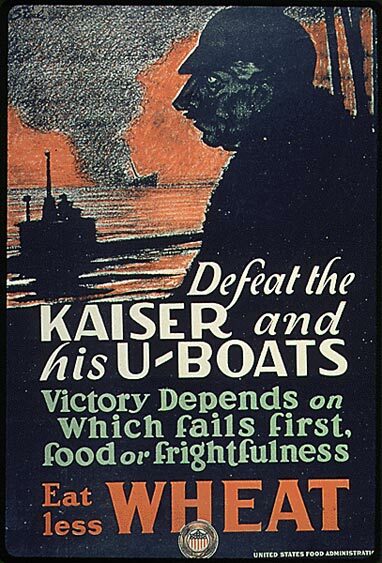 Responding to American pressure, Germany pledges to abide by international rules of naval warfare. A congressional resolution warns Americans to avoid travel on ships owned by the warring nations. In response, President Wilson declares that American rights must be protected. The Battle of Verdun begins. The picture below contains key information, casualty numbers, and the significance of the battle. The Army Reorganization Act is passed by Congress. Under this measure, the army will be brought to a strength of 175,000 and the National Guard to 450,000 by the end of June. 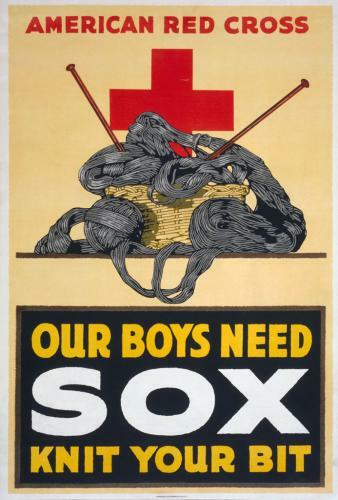 in the English Channel, and public sympathies turn increasingly in favor of the Allied cause and against Germany. The Easter Uprising begins. Organized with German assistance, the Irish rebellion is supposed to create a diversionary revolution in Ireland to distract English from the war in Europe. 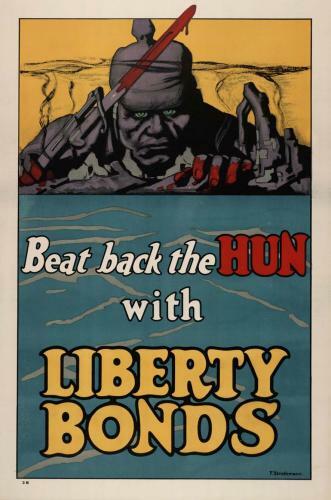 On Good Friday, April 21st, both a German ship delivering weapons to Ireland and a German U-boat carrying Sir Roger Casement to lead the uprising are captured by the English, who have discovered the plan through their intelligence reports. On Easter Monday, April 24th, the Citizen's Army strikes in Dublinwithout Casement's leadership of the expected weapons, and takes over several buildings. A few days later, British troops recapture Dublin and put down the rebellion. Casement is quickly tried and hanged, as are 15 of the rebels from Dublin. 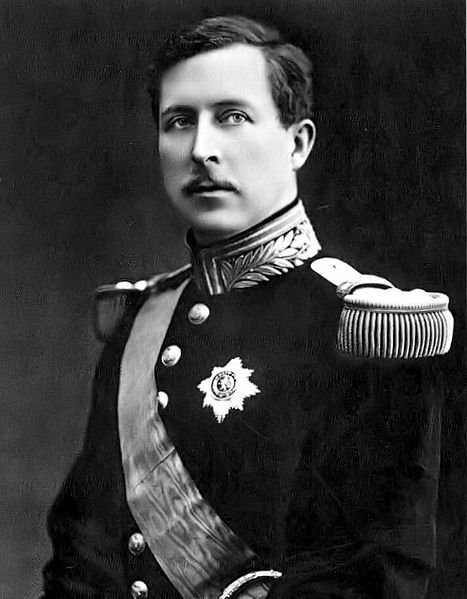 Seen as harsh "tyranny", the executions are a severe blow to British prestige in America, while the German involvement is overlooked. American sentiment for England falls to its wartime low. The Battle of Jutland begins. The picture below contains key information, casualty numbers, and the significance of the battle. 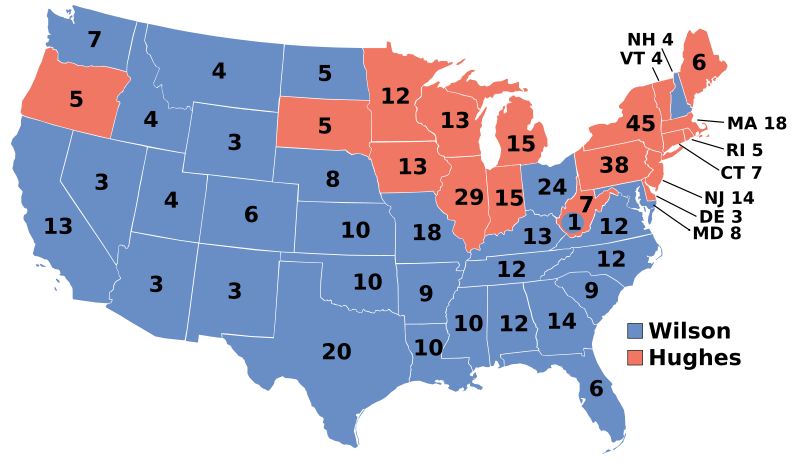 President Wilson is re-nominated by the Democrats under the slogan "He Kept Us Out of War", all the while preparing the nation for entrance into the war on the Allied side. Running on a platform of "Peace and Preparedness", he is nearly defeated by Charles Evans Hughes, a Supreme Court justice and former governor of New York. It takes a week after Election Day to confirm that Wilson has carried California and won re-election. As a referendum on war policy, the election confirms that Americans want to stay OUT of the conflict. 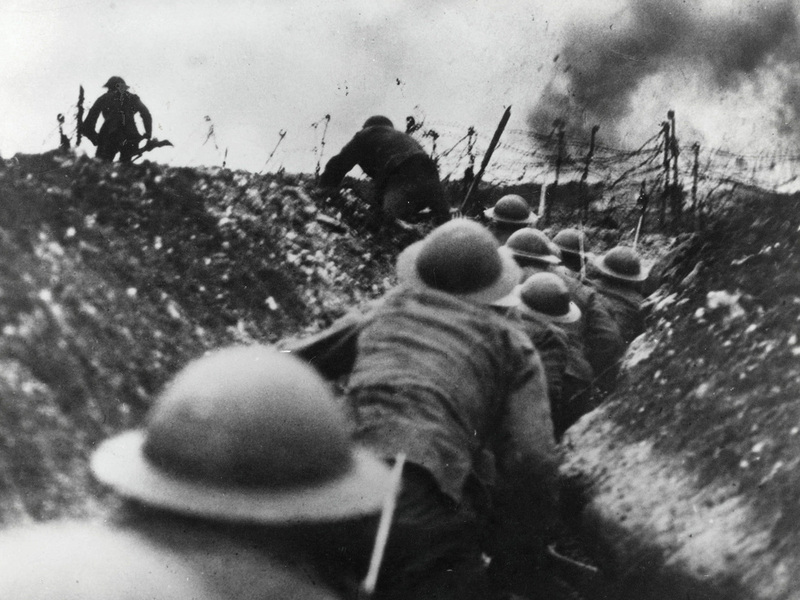 The First Battle of the Somme begins. The picture below contains key information, casualty numbers, and the significance of the battle. In a speech to Congress, President Wilson calls for a league of peace, an organization to promote the resolution of conflicts. 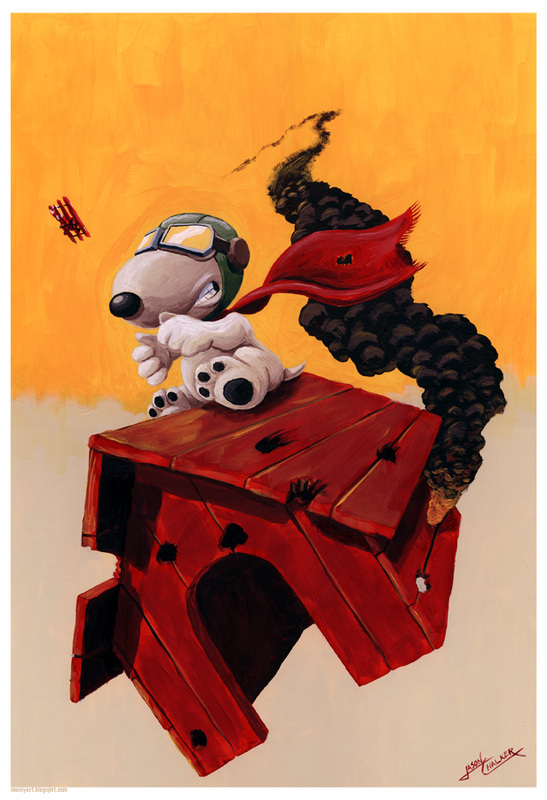 But neither side is willing to agree to negotiations while holding on to the prospect of victory. Having rapidly built its submarine fleet to over 100 U-boats, Germany resumes unrestricted submarine warfare, believing it can starve the Allies into submission in six months. In what will become known as the Zimmermann Telegram incident, the English Secret Service intercepted a telegram from German Foreign Minister Arthur Zimmermann to the German ambassador in Mexico, attempting to incite Mexico to join Germany's side in the event of war with the United States. In return, Germany promises to help Mexico recover Texas, New Mexico, and Arizona. After the telegram is released, there is an angry public outcry over what is considered Germany treachery. After asking Congress for permission to arm merchant ships, Wilson is told by his Attorney General that he already has that power. Knowing this, he issues the directive on March 9th. 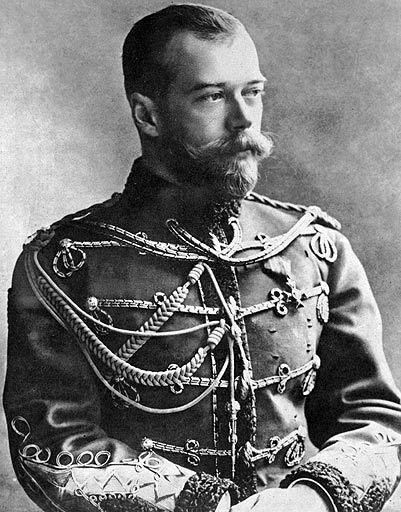 Czar Nicholas II of Russia is forced to abdicate after the Russian Revolution. The U.S. Government recognizes the new Provisional Russian Government. Five more American ships are sunk, all without warning. Wilson asks Congress to declare war on Germany, saying the world must be made safe for democracy. His speech is met with wild applause, and Congress overwhelmingly approved war on April 6th. 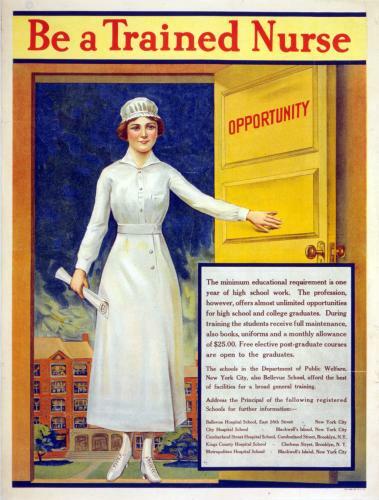 The Selective Service Act is passed, authorizing the registration and drafting of males between the ages of 21 and 30. 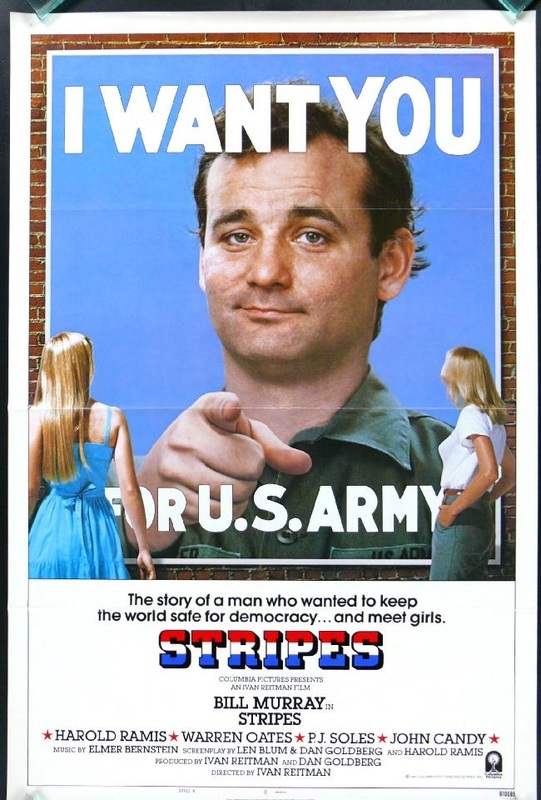 (The U.S. Supreme Court later rules that the U.S. Government had the right to draft soldiers due to its Constitutional power to declare war and raise and support armies.) 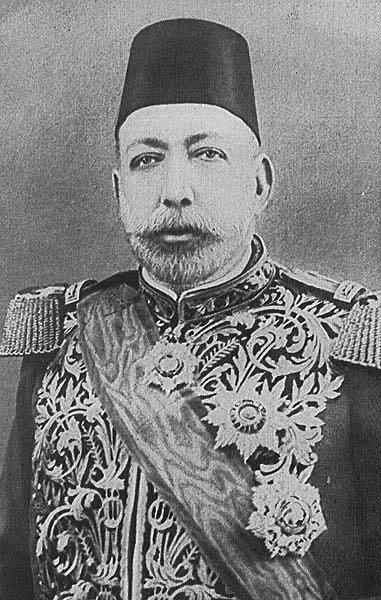 General John J. 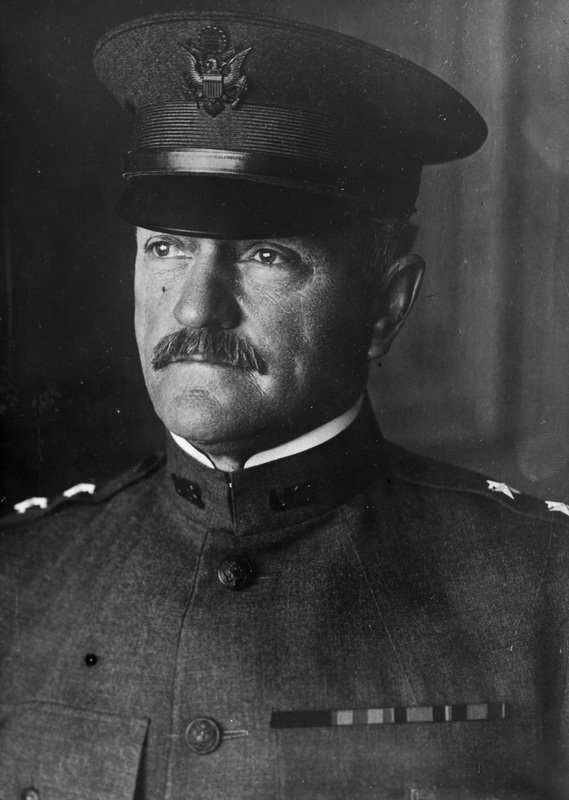 "Black Jack" Pershing will lead the first contingent of Americans, called the American Expeditionary Force, to France on June 24th. 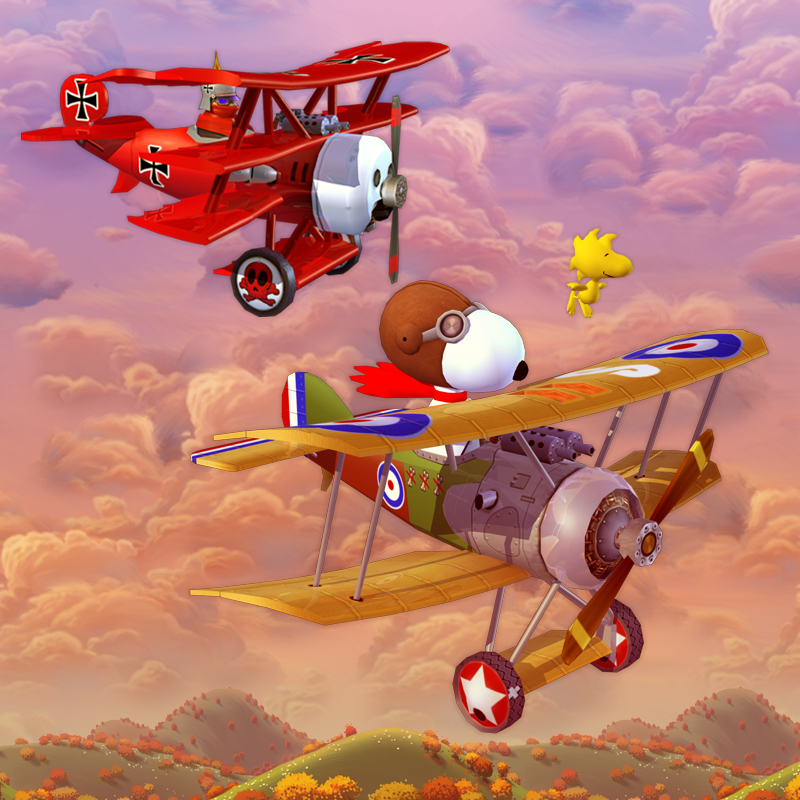 The Rainbow Division, under Colonel Douglas MacArthur, will reach Europe on November 30th. The first military training field for airman opens. 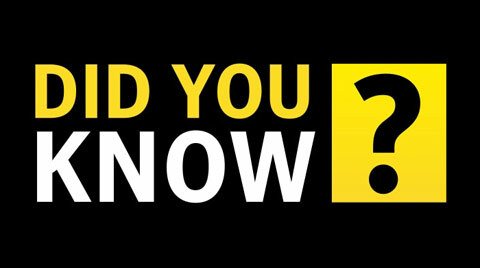 At the outset of war, the army has 55 planes; by war's end there were nearly 17,000 planes in service. The Third Battle of Ypres begins. The picture below contains key information, casualty numbers, and the significance of the battle. The Provisional Russian Government is overthrown by the Bolsheviks (Communists), who make peace with Germany in March 1918. The U.S. denies recognition of the new government. The Battle of Cambrai begins. The picture below contains key information, casualty numbers, and the significance of the battle. 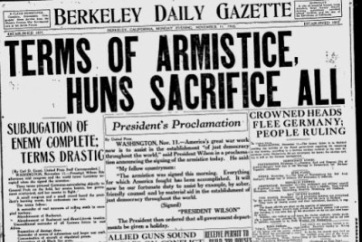 The U.S. declares war on Austria-Hungary. President Wilson gives his "Fourteen Points for Peace" speech. The speech outlines a generous and liberal attempt to settle the war. The last of the point forms the nucleus of the League of Nations (a precursor to the United Nations). Allied reaction is lukewarm. 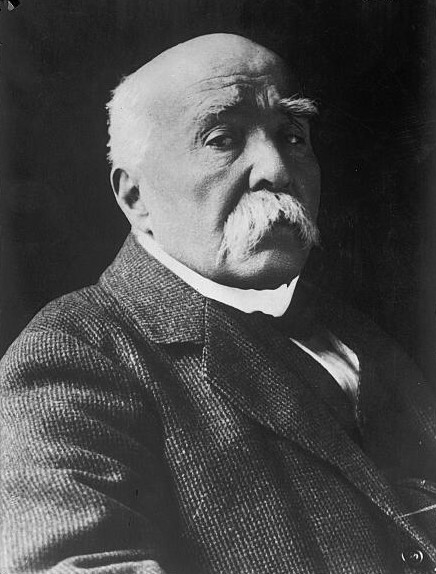 French Prime Minister Georges Clemenceau says the Fourteen Points "bore him" and adds "Even Almighty God has only 10." The Second Battle of the Somme begins. The picture below contains key information, casualty numbers, and the significance of the battle. The Second Battle of the Marne begins. The picture below contains key information, casualty numbers, and the significance of the battle. Over 10,000 American troops join in a Japanese invasion of Russian territory, occupying Vladivostok and some of Siberia. 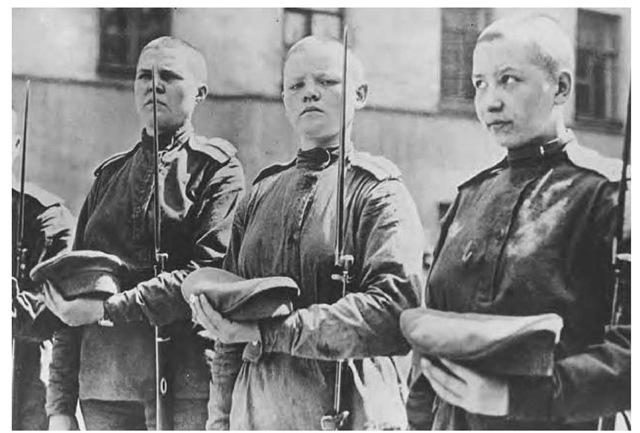 American troops become involved in the internal fighting as they join the "White Russians" (anti-Communists) in the fighting against the Bolsheviks, and more than 500 Americans die fighting in Russia. The Battle of Saint-Mihiel begins. The picture below contains key information, casualty numbers, and the significance of the battle. The Meuse-Argonne Offensive begins. The picture below contains key information, casualty numbers, and the significance of the offensive. Germany forms a parliamentary government as the army collapses and the navy revolts. 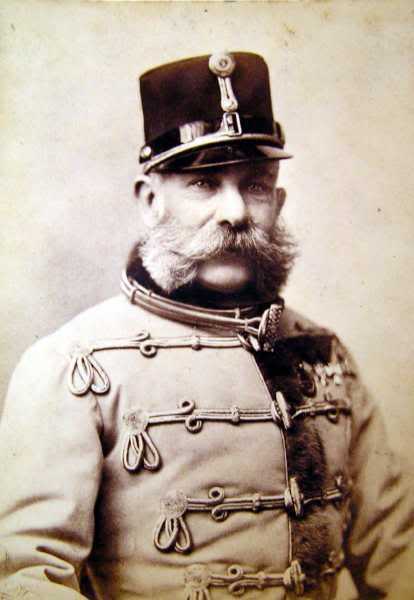 Germany's leader, Kaiser Wilhelm II, is forced to abdicate. 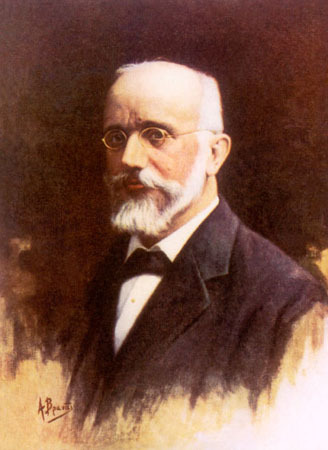 Germany begins drafting peace propositions based on Wilson's Fourteen Points. 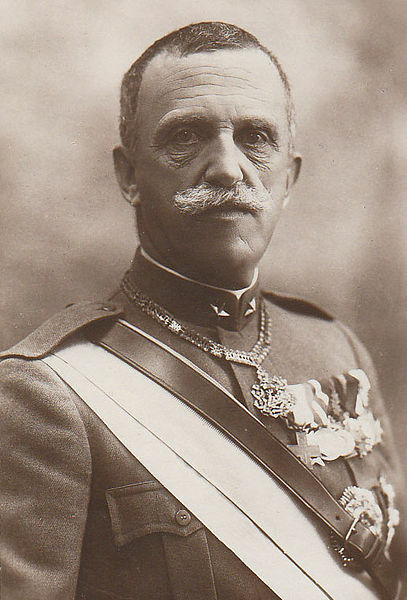 Austria-Hungary asks Italy (of the Allies) for a truce; Italy accepts; Austria-Hungary surrenders on November 4th. The Treaty of Versailles is signed, under which Germany is required to admit guilt, return the rich Alsace-Lorrain region to France, surrender its overseas colonies, and pay reparations that total $32 billion (reparations won't be collected). 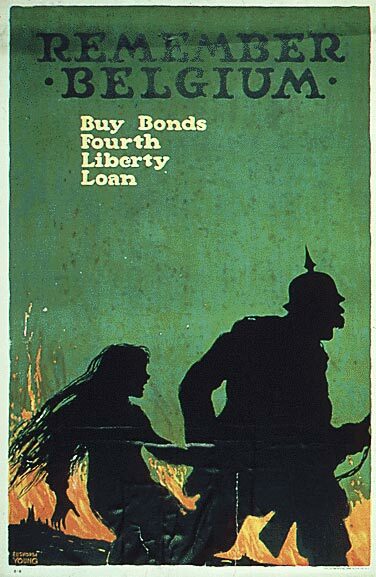 Germany spent more than $100 billion to finance the war. Under the treaty, Germany rearmament is strictly limited, and the Allies take temporary control of the German economy. 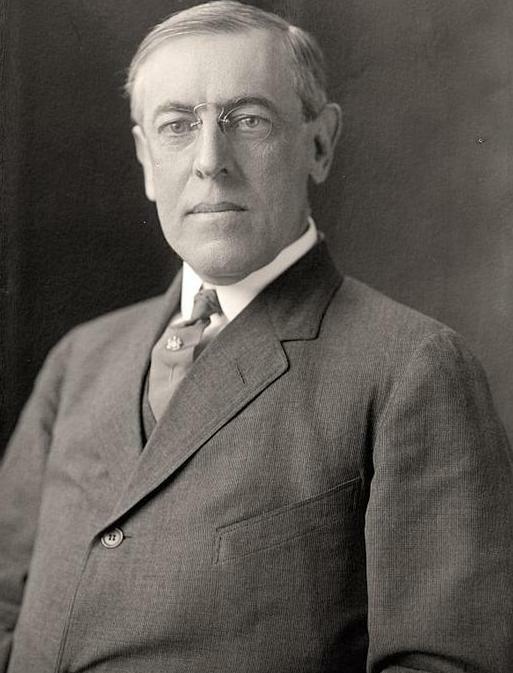 The League of Nations is accepted by all signatories, but a Republican-controlled U.S. Senate, left out of the treaty negotiations by Wilson, refuses to ratify the treaty. Without American participation, the League of Nations is doomed to pointlessness. 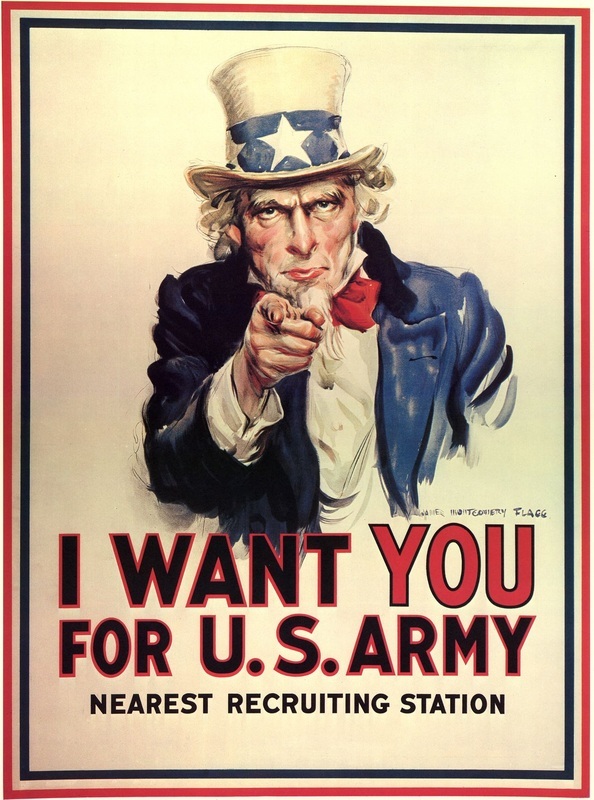 We've all seen the "I Want You" poster with Uncle Sam pointing at you. 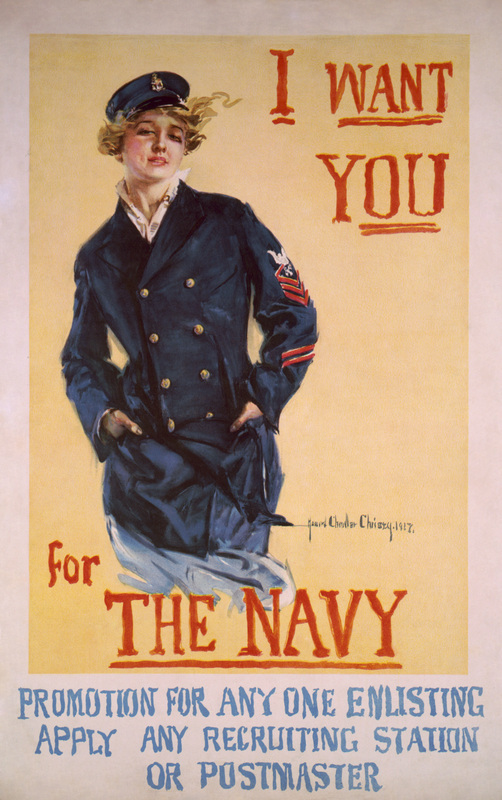 That poster, drawn by James M. Flagg, was first used in 1917 to help recruit men into the U.S. Army during World War I. It was again used in World War II. 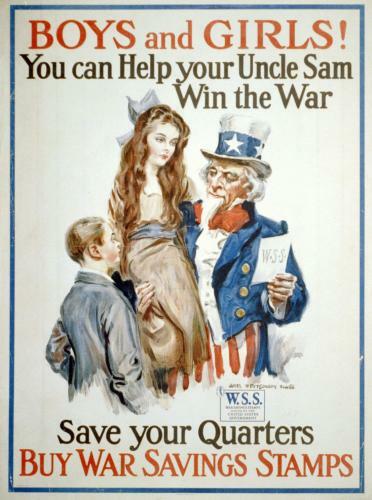 Flagg used a modified version of his own face for Uncle Sam, and veteran Walter Botts provided the pose. 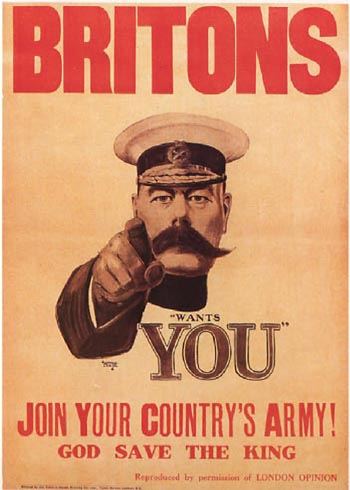 The poster was based on the original Lord Kitchener poster that was used in England in 1914. 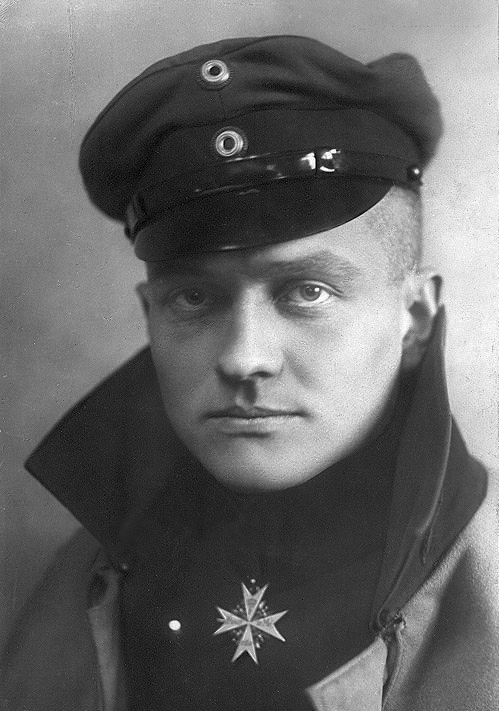 Manfred Albrecht Freiherr von Richthofen (1892-1918) was a German fighter pilot during WWI that is better known as the Red Baron. 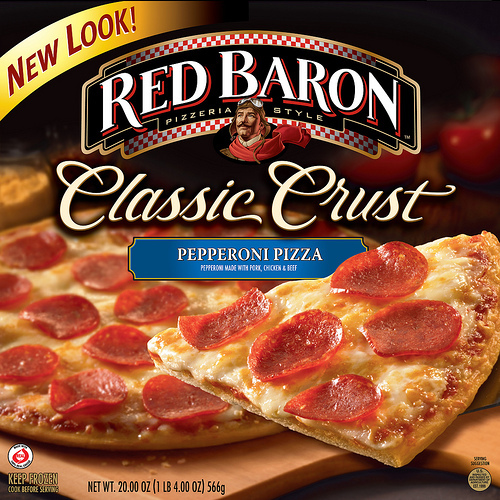 He is considered the top ace of that war, being officially credited with 80 air combat victories, more than any other pilot. Granted, his legacy was tarnished when he was shot down and killed on April 21, 1918 by... a Canadian named Wilfrid May of the Royal Air Force! U.S. armed forces remained segregated through WWI. 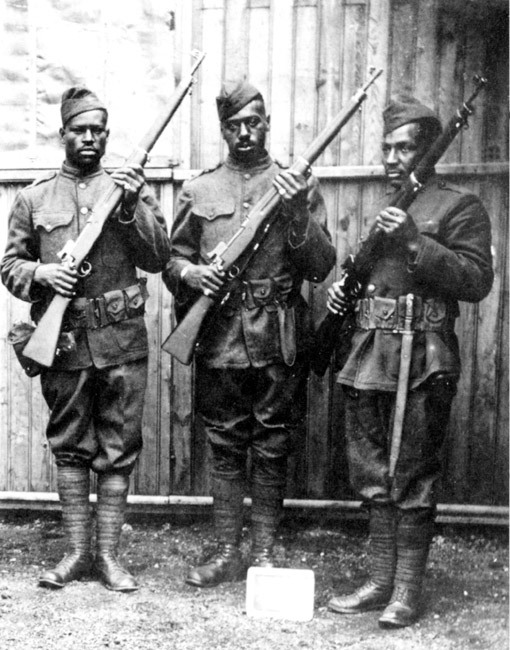 Still, over 350,000 African-Americans served with the American Expeditionary Force on the Western Front. not see combat. Still, African-Americans played a notable role in America's war effort. One of the most distinguished units was the 369th Infantry Regiment, nicknamed the "Harlem Hellfighters" by the Germans for their persistence in battle. These Hellfighters were on the front lines for six months, longer than any other American unit in the war. 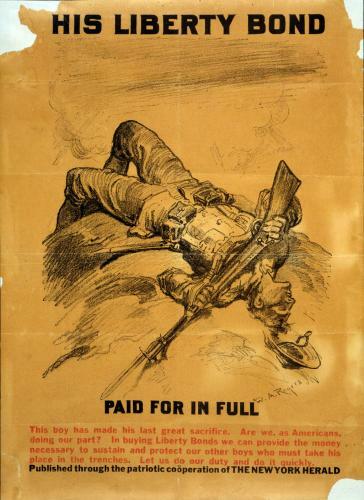 Propaganda was used in WWI as in any war... and the truth suffered. 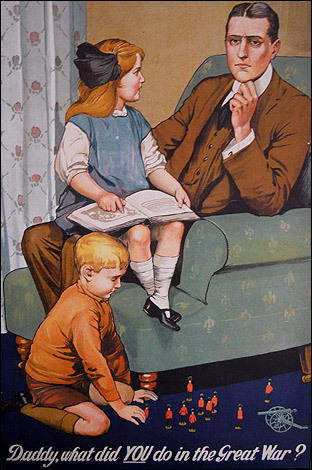 Propaganda ensured that the people only got to know what their governments wanted them to know. 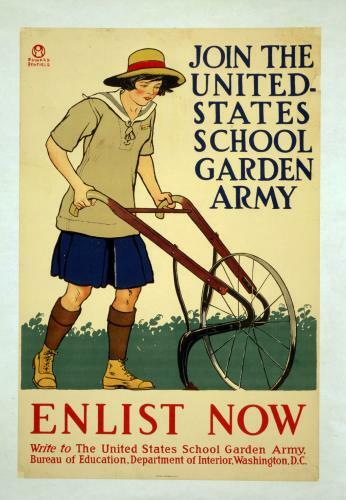 In WWI, the lengths to which governments would go to blacken the enemy's name reached a new level. As a result, all forms of information were controlled. Newspapers were expected to print what the government wanted the reader to read. They printed headlines that were designed to stir up emotions regardless of whether they were accurate or not... tippy toeing around the truth in such a fashion it'd make any yellow journalist proud. 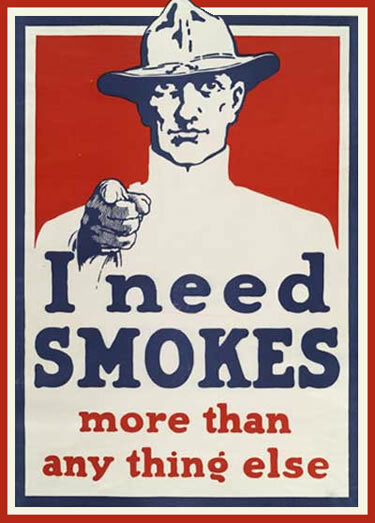 The following are examples of some propaganda used by both sides during WWI.